What are the the Health Benefits of Watermelon to the body? Watermelon is my best fruit not because its sweet, soft, sugary but i love it based on the advantages i get on my body when i eat watermelon. Watermelon is very good for digestion and many times, when am too full and i really don't appetite to eat more food, i eat watermelon. And also, when am not feeling too well and suffers indigestion, i eat watermelon and immediately i get relief and the bowels get emptied very fast. I see watermelon as one of the best because you can plant it easily and it grows fast. I bought it for an uncle of mine who has high blood pressure and what i saw next was very interesting, just like magic. 1. Weight loss: If you are ready to lose weight or you want to burn calories through a natural method, then watermelon is the solution to that. It contains fibers that help fasten digestion process and within the shortest period of time, you shed some weight when you eat more of these fruit. 2. Blood Pressure: Watermelon is very active in the body and its really do not allow accumulation of cholesterol in the body which often leads to high blood pressure. 3. Vitamins and Minerals: Watermelon helps improve vision because it contains vitamin A which is responsible for sight and it also contains essential vitamins like Vitamin C which helps repair worn-out tissues in the body. It also prevents scurvy and improve body metabolism. 4. 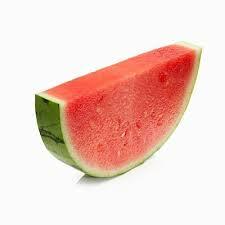 No Fat: Watermelon contains no fat and its very good for weight loss naturally. Its only contains fiber which aids digestion process. 6. For Adult: Watermelon has been proven to be very effective for adults either men or women. It increases the Vitamin E contents in the body which is very important during private conditions which i believe you understand for adults. You see that you get so much benefits when you eat watermelon as stated above. Live healthily, eat more fruits like watermelon and stay healthy because health is wealth. Thanks for reading.